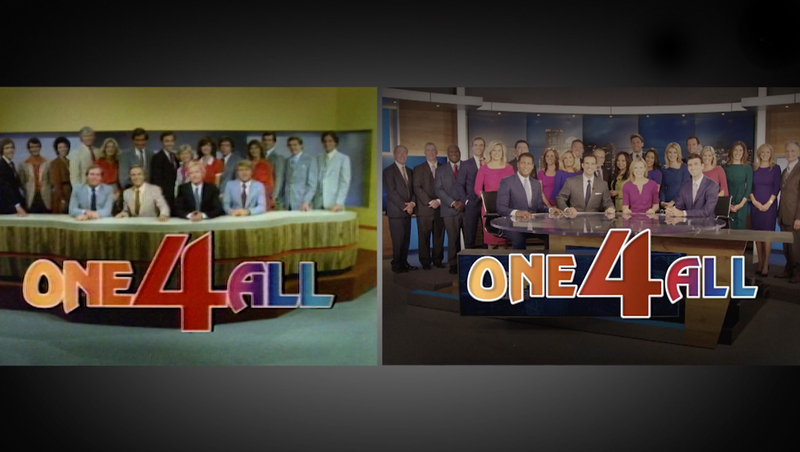 WBZ, the CBS O&O in Boston, has rebuilt, scene for scene, a 1980s image campaign around its “One 4 All” campaign. 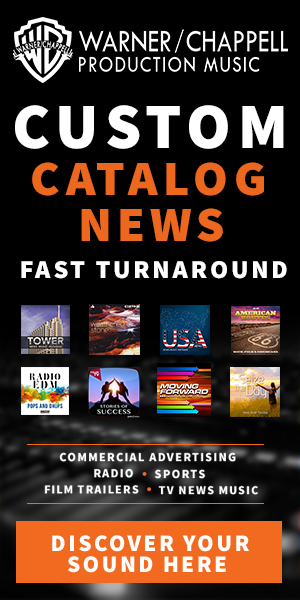 The idea started as a way to mark the station’s 70th anniversary, and the station dug through its archives for old promos that it could recreate — and one produced in the 1980s stood out as top contender. Each shot of the promo was then recreated at the same or similar locations, with station talent, staffers, staff family members and community members recruited to play the roles in the original shots. Notably. 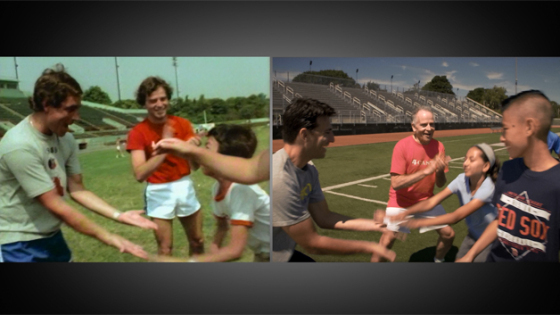 meteorologist Barry Burbank, who is celebrating his 40th year with the station, reprised his role as a tug of war scene in the new version of the promo. Blocking, camera angles and the timing of movement also remained similar throughout. In many cases, the station dressed the on-screen talent in similar clothing as in the original promo — as well as bringing in lookalike props or scenic elements, right down to a “From the Heart of Boston” T-shirt the station tracked down. Some elements, such as the station’s news helicopter and news set, underwent visual updates since the 80s. The station’s set has also been changed out multiple times since the original promo was created, but the creative team still incorporated a “news team” shot with the station’s talent gathered around the station’s current anchor desk. To illustrate the connection to the 1980s version, WBZ offered a split screen version that shows both promos, side-by-side, with the image campaign music playing over it. WBZ has an indepth look at how it recreated the promo on its website.